Nick, Steve, Ray, Jake, and Caroline ensure an old school service. Our fully air-conditioned barbershop provides a comfortable environment for traditional, classic and contemporary barbering. You have a choice of top quality hair products by American Crew and Uppercut. Full wheelchair access, parking is available by request on booking an appointment. ... or just drop in and give us a look. Blades of Norwich are very pleased to welcome Caroline to our team of talented barbers. 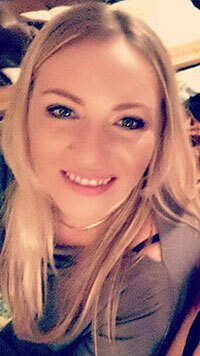 She arrives with a wealth of men’s hairdressing experience, having worked in a number of salons across East Anglia. She is very much looking forward to meeting all of our customers, old and new.